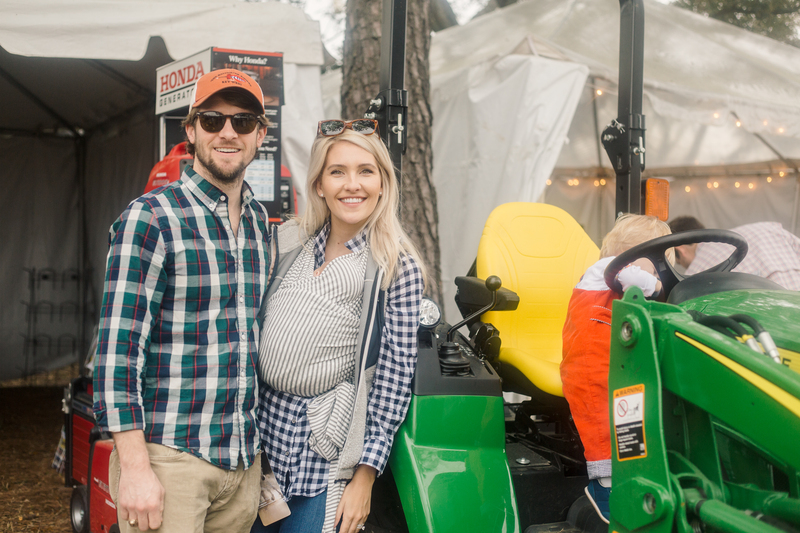 Preview events, exhibits, presentations and special guests at SEWE 2019. Skip the line and get your tickets today. 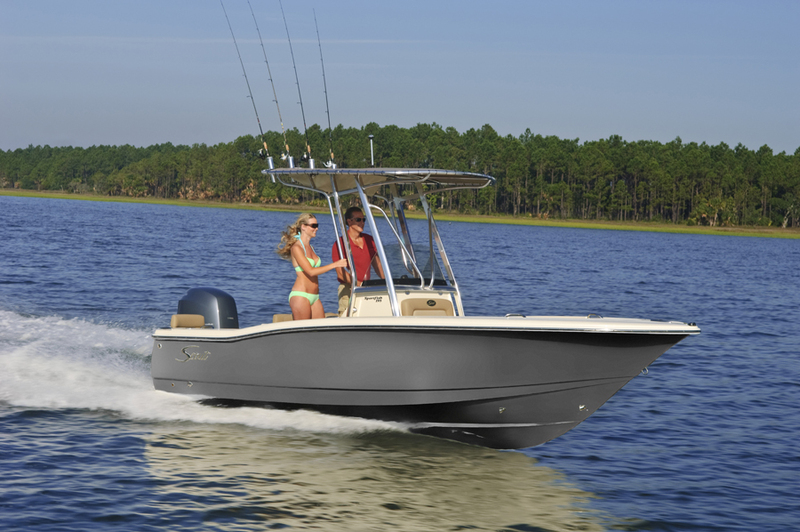 Win a 2019 19′ Scout 195 Sportfish boat during SEWE 2019. Presented by Ducks Unlimited and Scout Boats. Tickets are $100, only 600 tickets sold. 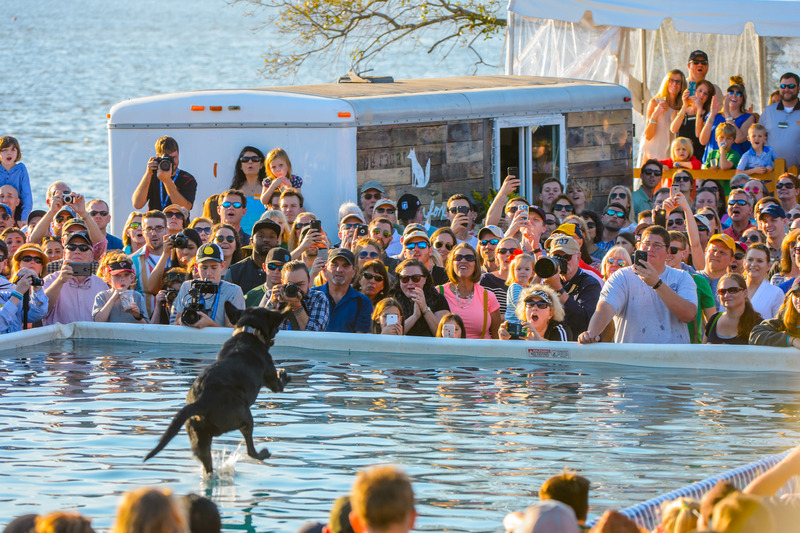 Here’s what needs to be on your bucket list for SEWE 2019. We challenge you to make the most of your weekend and check every box! 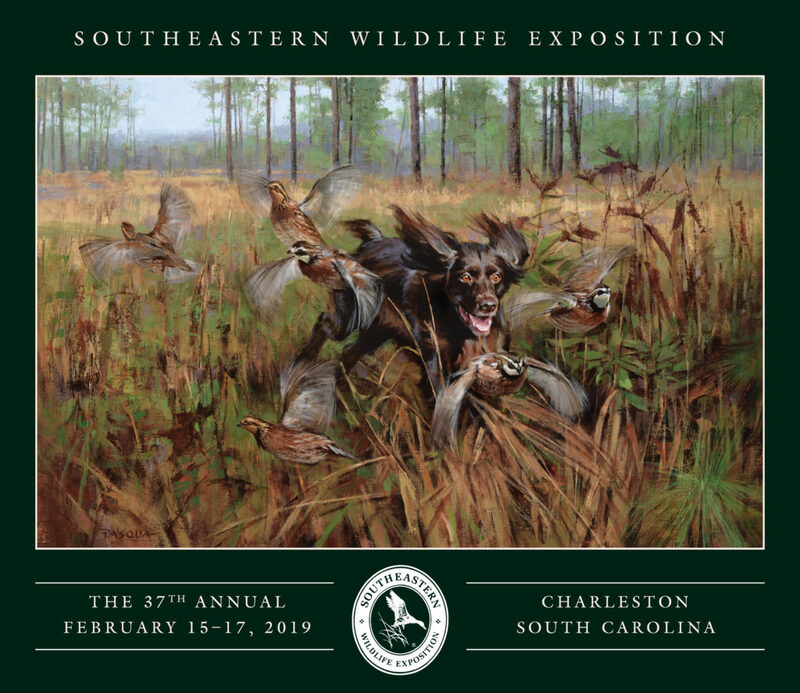 SEWE announces its Featured Artist and Featured Painting for the 2019 event, marking 37 years of excellence in wildlife art, conservation and the sporting life. Lou Pasqua has been named the 2019 event’s Featured Artist. His painting, Little Havoc, has been selected as the Featured Painting and subject of the official SEWE 2019 poster (available to ship October 25). An avid sportsman, Lou Pasqua’s lifelong passion of the outdoors and wildlife translates to his artwork. 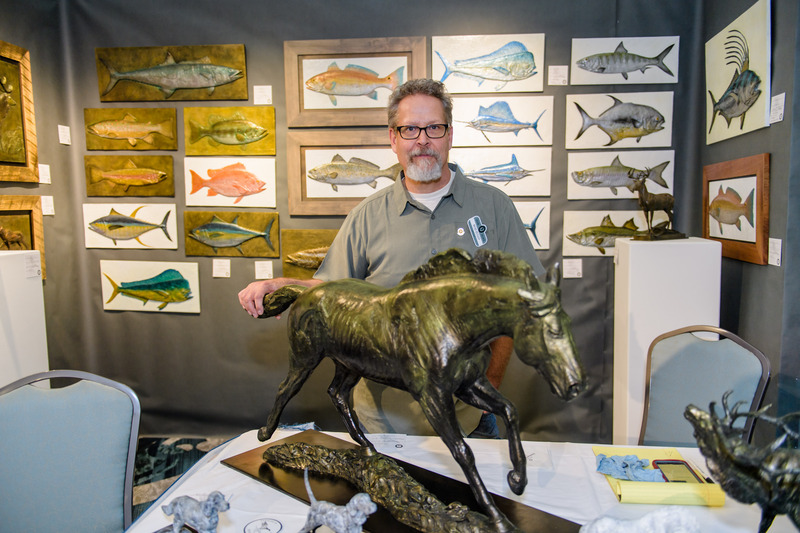 Coupled with his twenty plus years in the graphic design industry, his ability to capture emotion and movement has made him one of the most sought after sporting and wildlife artists in the country. Residing in Etna, Pennsylvania, Pasqua’s work can be found in collections and galleries across the nation as well as the covers of numerous publications. 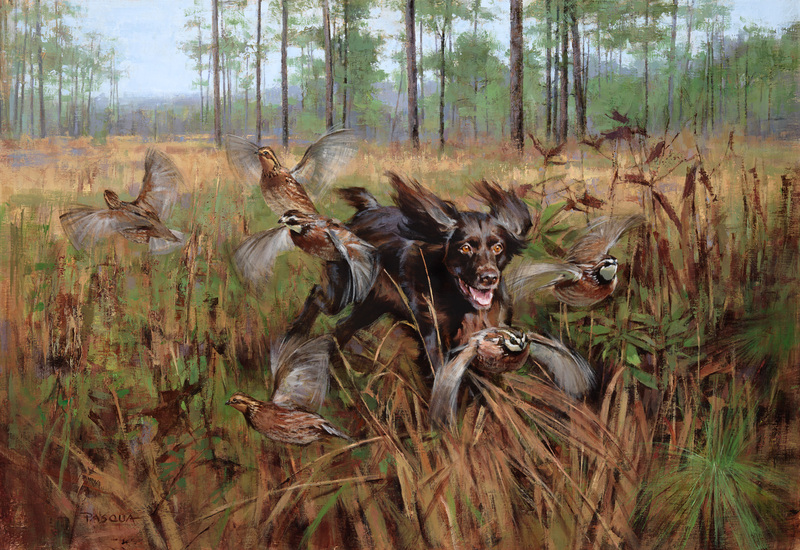 Little Havoc depicts a Boykin Spaniel and gives the viewer a front row seat to the thrill of rushing into a covey of quail. 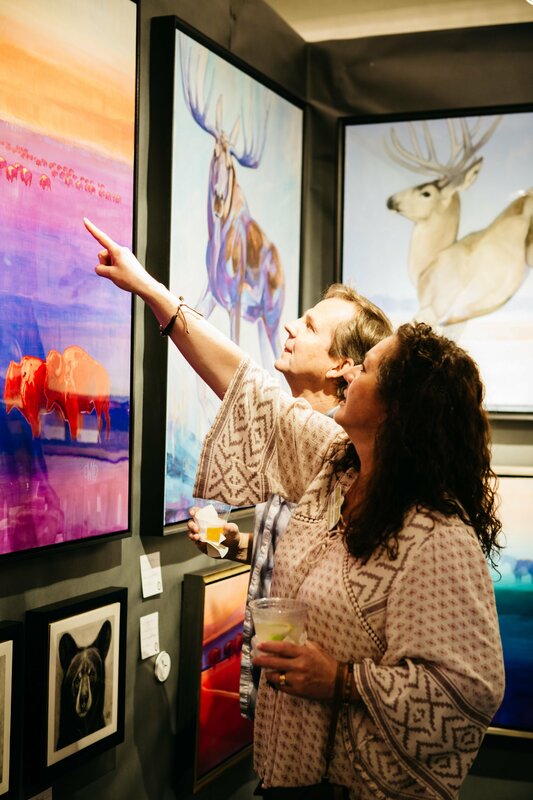 “At its core, SEWE desires to present the finest wildlife art available. 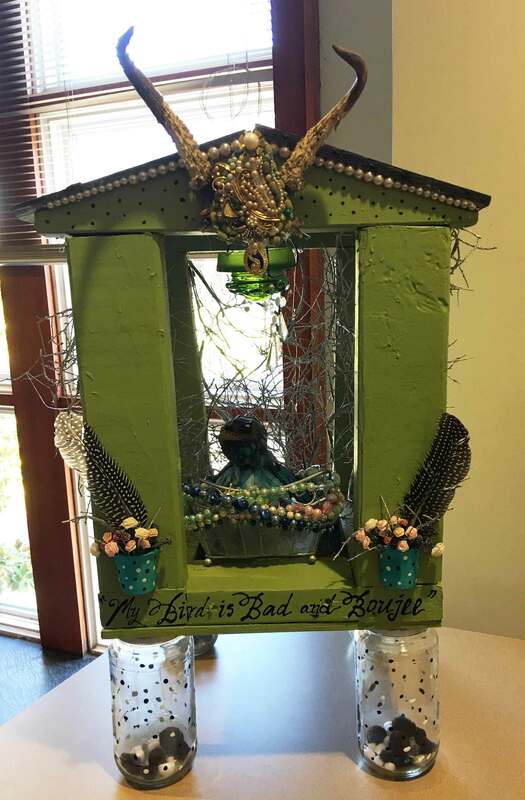 With that in mind, Lou Pasqua was an obvious choice for the 2019 Featured Artist. Lou’s sporting paintings are unmatched, and it is a privilege to showcase his work” says SEWE Art Curator, Natalie Henderson. With an ongoing focus to bring renowned wildlife and sporting art to Charleston, SEWE also welcomes Guest Artists Walter Matia and Sandy Scott. Walter Matia began casting bronze sculptures in 1980. He is as accomplished as he is talented. Initially concentrating on bird life, over the years he has worked on sporting dogs, other mammals and large fountain and garden pieces, which includes a fountain and bronze wall frieze for the United States President’s guest house. Matia resides in Dickerson, Maryland. Sandy Scott believes wildlife artists should be in the field to accurately present their subject to the viewer. A lifelong interest in aviation has been invaluable to her work. “I believe my knowledge of aerodynamics has been helpful in achieving the illusion of movement in my bird sculptures,” says Scott. 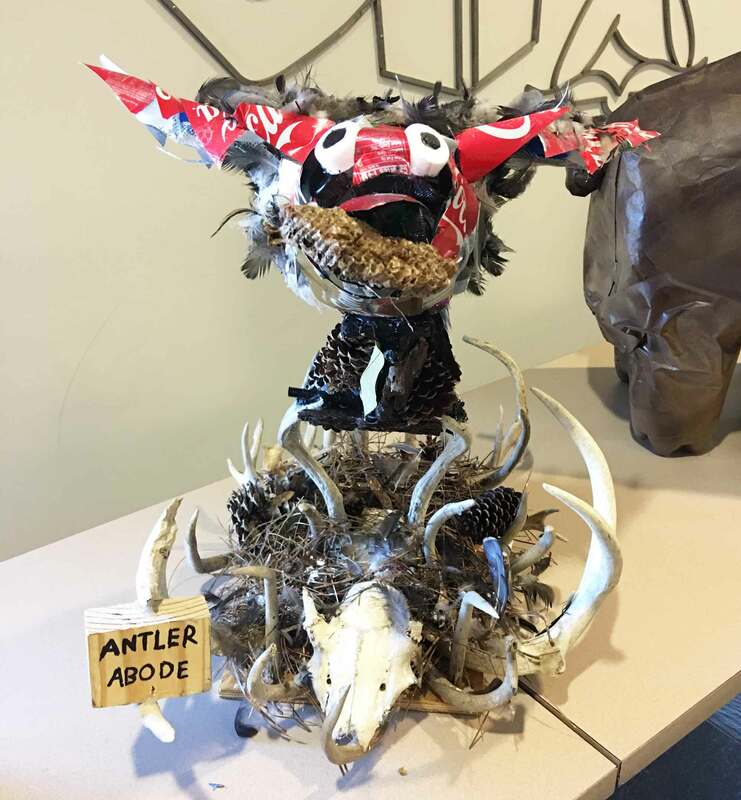 Headquartered in Lander, Wyoming, Scott has experienced and lived what she depicts in her sculpture, which has won her many accolades throughout the years. Lou Pasqua aspired to be a wildlife artist from the age of six. At the age of forty, after an education in graphic design and twenty years working in graphic arts, he returned to his original goal. Lou was inspired by and followed the work of Carl Runguis, Bob Kuhn, and Ken Carlson. He also discovered Richard Schmid and David Leffel. He researched, studied and practiced various painting techniques on his own and then applied his natural talent to his favorite pastime; the outdoors. A lifelong sportsman and subscriber to multiple outdoor magazines, he was always drawn to images of dogs in the field. He focused initially on sporting dogs because the reference was readily available. His dog paintings were quickly accepted by major galleries and well respected art critics. He then expanded to wildlife and, most recently, big game animals. Lou’s work has appeared on the covers of Gray’s Sporting Journal, The Upland Almanac, The Pointing Dog Journal, Texas Outdoors Journal, Retriever Journal, Field Trial Magazine, Canine Images, The Ruffed Grouse Society Magazine and Quail Unlimited. Images of his work have also appeared in Wildlife Art, Sporting Classics, and The Washingtonian. Lou’s story was featured in the May/June 2018 issue of Gray’s Sporting Journal. Lou has exhibited and sold his work at Collectors Covey in Dallas, Texas; The Sportsman’s Gallery and Paderewski Fine Art in Charleston, South Carolina and Beaver Creek, Colorado; Russell Fink Gallery in Lorton, Virginia; The Waterfowl Festival in Easton, Maryland; Settlers West in Tucson, Arizona; Trailside Galleries in Jackson Hole, Wyoming; and The Southeastern Wildlife Exposition in Charleston, South Carolina. He was the 2012 Featured Artist at The Plantation Wildlife Arts Festival in Thomasville, Georgia. VIP Packages will be for sale starting October 12. 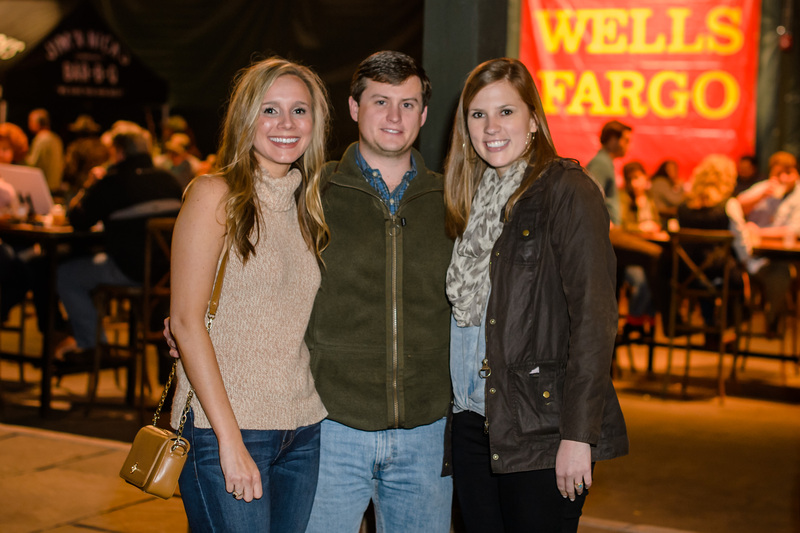 Members of SEWE’s VIP program enjoy perks and insider access throughout the weekend, including private art viewings, exclusive lounge areas, parties, transportation and priority entry to all venues during show hours. A limited number of VIP packages will be available to ensure the best experience possible for our most important guests. Flip through the brochure below and get ready! This year, for the first time ever, we have curated an exclusive summer catalog to share with a select group of collectors. In this portfolio, you will find a sneak preview of some of the talented artists headlining our upcoming 37th annual Exposition, to be held February 14-17, 2019, whose work is now available for early purchase. We are honored to welcome Lou Pasqua as our Featured Artist alongside Guest Sculptors Sandy Scott and Walter Matia, among many, many others. 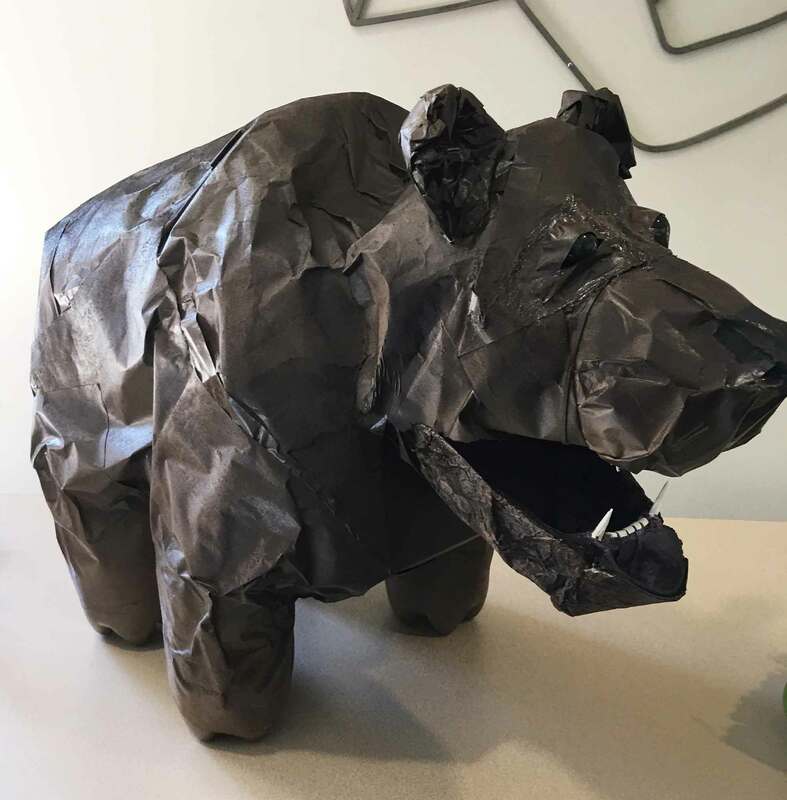 Your appreciation of wildlife art ensures we are able to continue to create exciting and exclusive opportunities for our valued patrons, and we thank you for your ongoing support. I hope you enjoy this opportunity to be the first to experience this special collection of work. I am available by phone at (843) 723-1748 or email at nhenderson@sewe.com. 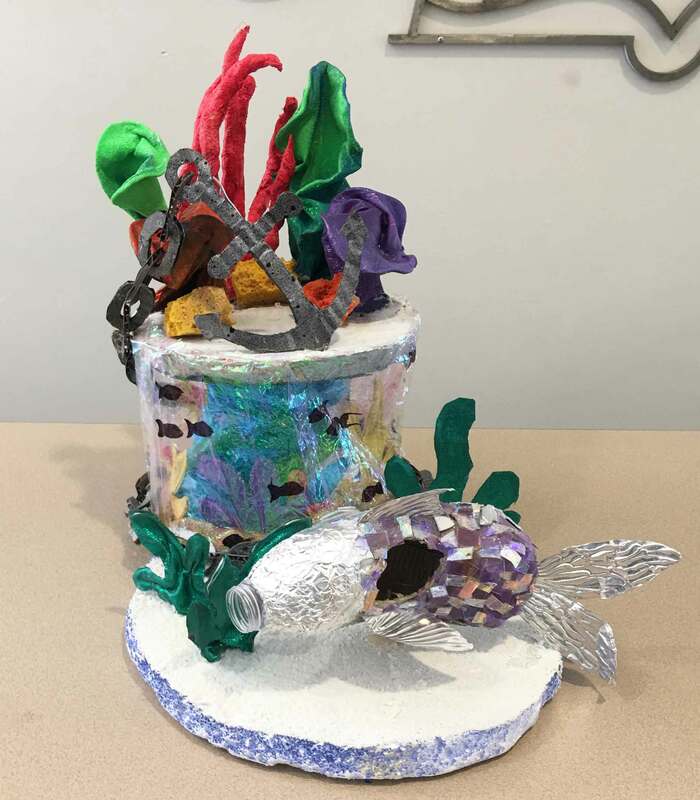 We are excited to announce the 2018 Kids for Conservation poetry competition winners! 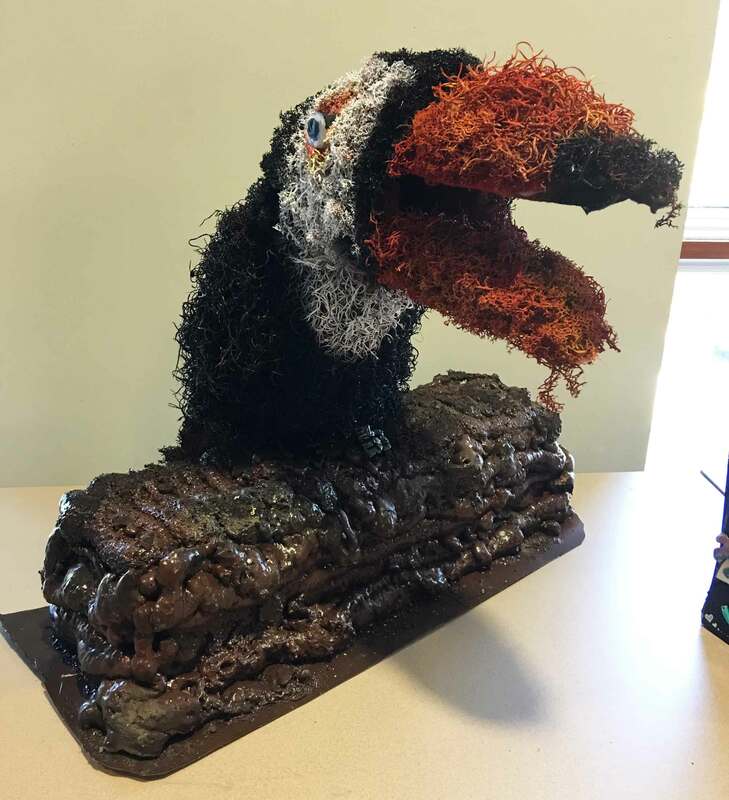 Students from the Tri-County area in grades 1st-5th were invited to compete in the KFC Poster Competition, while students in grades 6th-8th competed in the KFC Photography and Poetry Competition and 9th-12th in the KFC Birdhouse competition. Yet again we received a wonderful selection of entries from our talented young artists, writers and photographers and would like to thank the participants, teachers and parents. 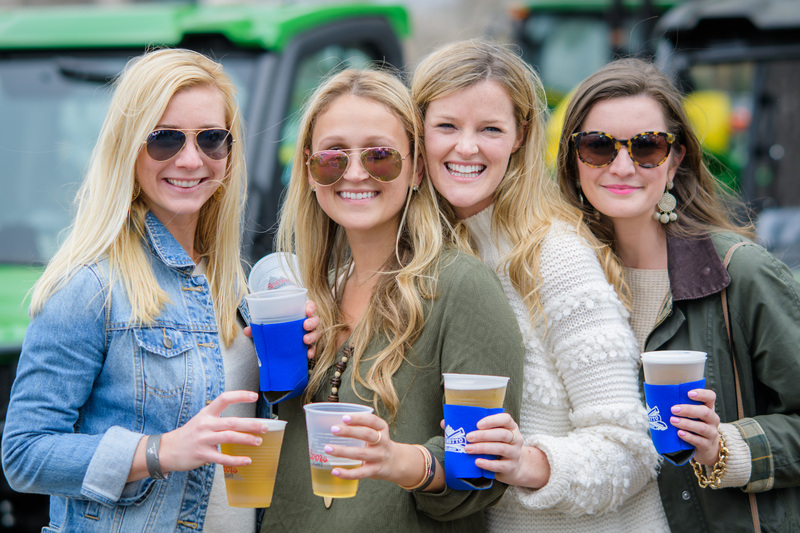 While all of our SEWE events are truly spectacular, mapping out your weekend to experience everything that SEWE 2018 has to offer can be overwhelming. 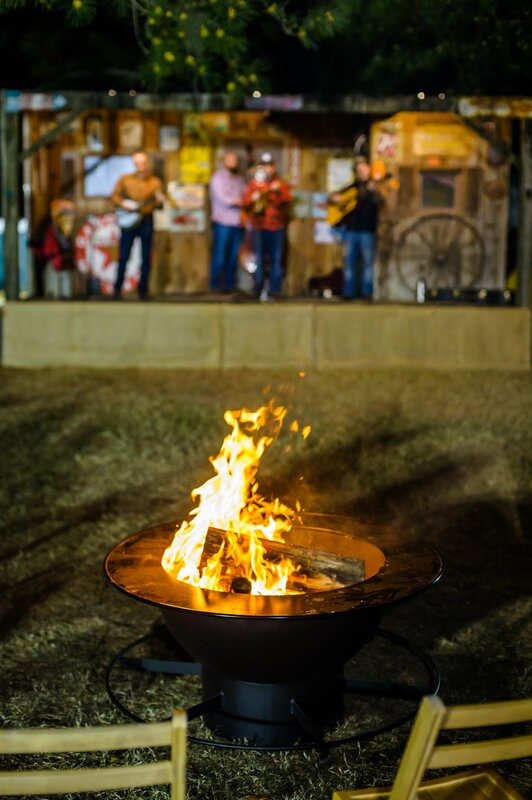 We’ve highlighted a few of our ‘can’t miss’ activities, events, demos and overall SEWE must-dos below to help you round out your list! We even tailor-made the schedule to your tastes. Read below to check out our day-by-day top recommendations this weekend for the sportsman, art lover and family. If you’re a lover of the outdoors and the sporting lifestyle, you could hangout in Brittlebank Park all day long and never be bored. 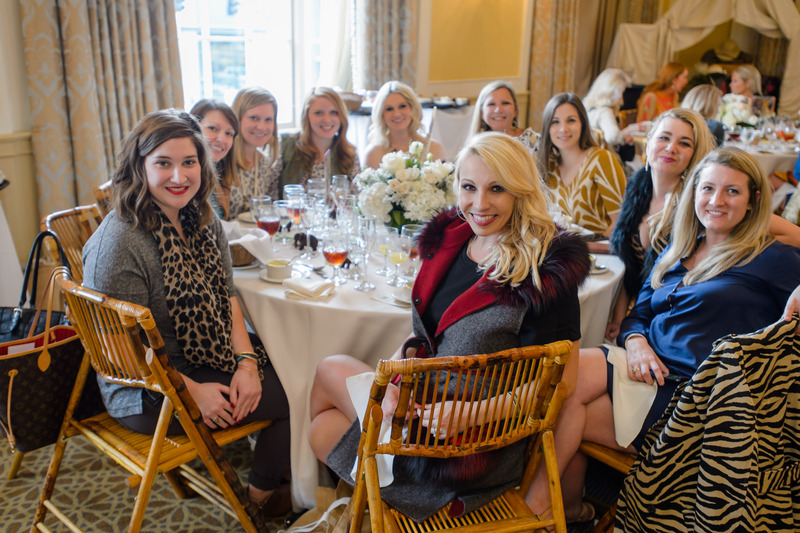 However, each SEWE venue has something that you’ll appreciate and enjoy! 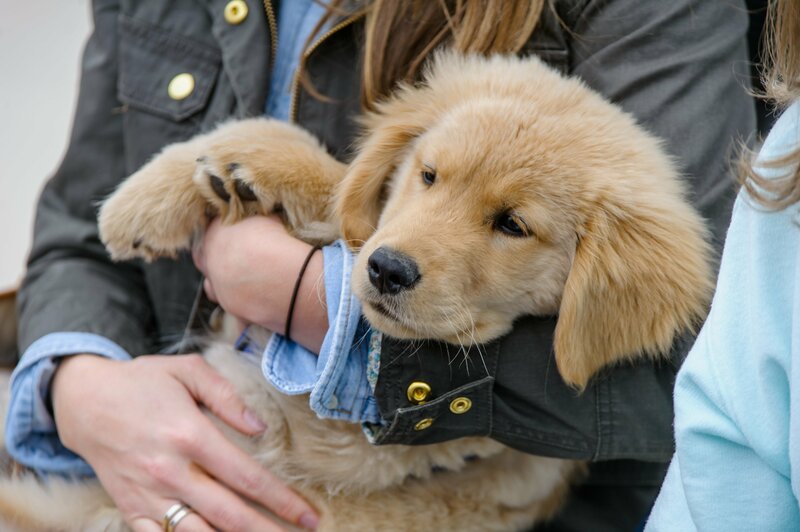 Retriever Demos: Dogs of all breeds and ages show off their retriever skills with some of the best handlers in the business. 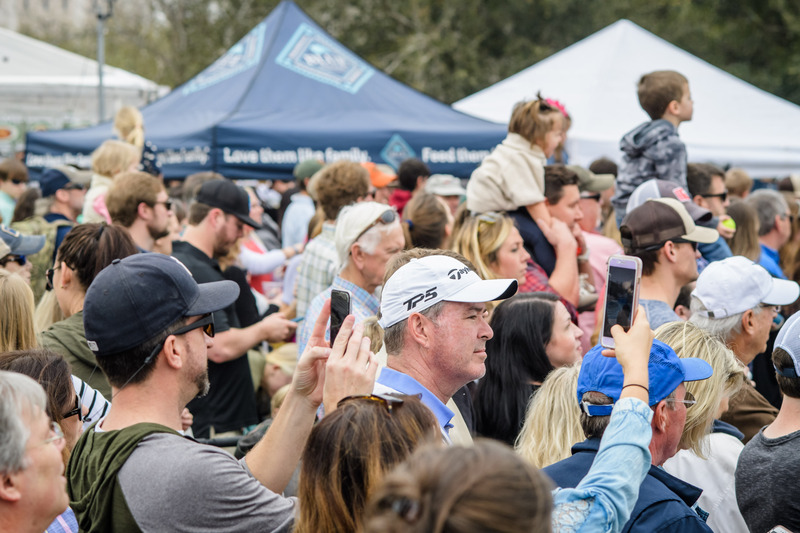 Fly Fishing Demo: The experts from Charleston Angler will provide insider tips on building up your fishing skills! 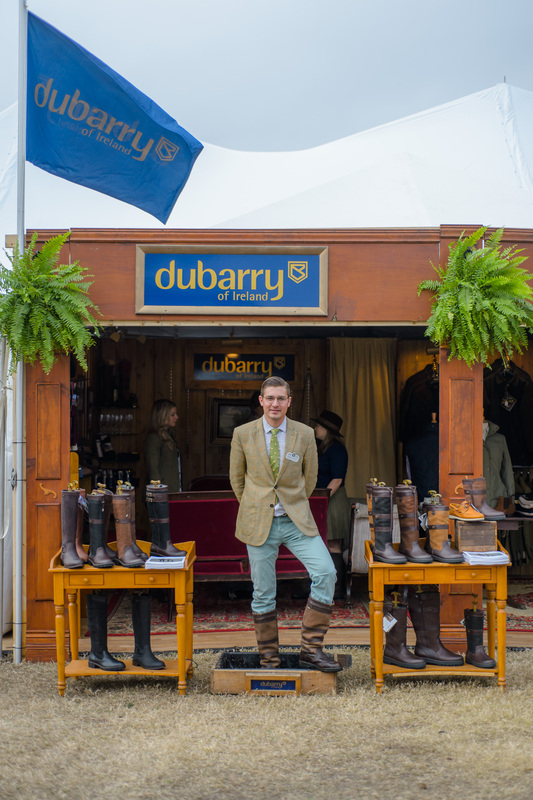 Beretta Gallery and James Purdey & Sons: The Beretta Gallery and James Purdey & Sons are exhibiting at SEWE this year! Fine Sporting Arms will be on display and available for purchase by highly regarded manufacturers James Purdey & Sons and Beretta on the second floor of Charleston Place Hotel. Barrett and Westley Richards will both have displays at the SEWE Marketplace in the Gaillard Center and SEWE partner Palmetto State Armory will have fine sporting arms and other products available for purchase at the Charleston Marriott.Visit with the knowledgeable representatives who are available to answer questions about your needs in the field. Decoy Auction by Guyette and Deeter:If you can pull yourself away from those beautiful firearms, you’ll also want to check out the Decoy Auction by Guyette and Deeter. An investment quality decoy and painting auction held by Guyette & Deeter, Inc., offering over 250 investment quality decoys and paintings without reserve ranging from $200 to over $25,000. The auction will consist of mostly Atlantic Coast decoys including examples by Elmer Crowell, the Ward Brothers, Ned Burgess, William Bowman, Ira Hudson, Lee Dudley, Mark McNair and many other carvers. Saltwater Inshore & Outshore Fishing Demos: This event put on by Charleston Anglers will showcase techniques and skills to be a pro on the water! National Wild Turkey Foundation: For those of you that hunt birds there will be some great exhibits like the National Wild Turkey Foundation (Swamp Fox Chapter), as well as a few of the best breeders around for hunting dogs like: Palmetto Gun Dogs and Webfoot Retrievers all in the same place. 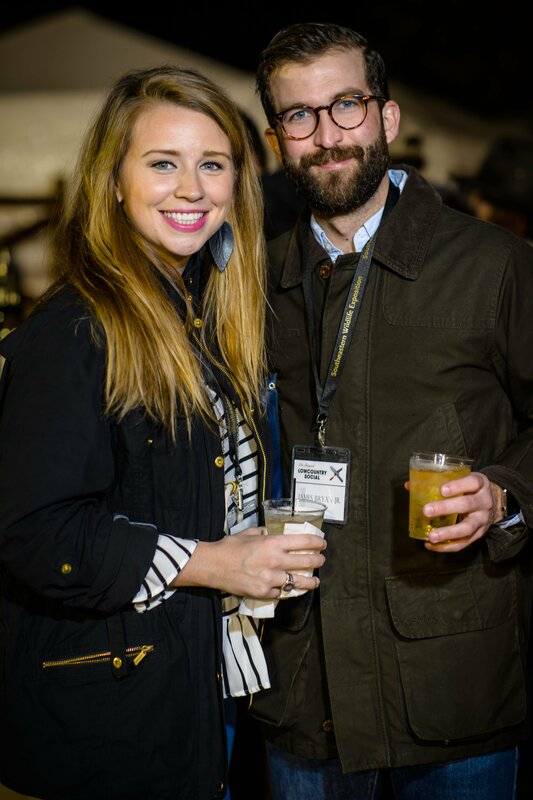 SEWE Marketplace: The SEWE Marketplace is a curated collection of outstanding local, regional and national artisans, craftsmen and Southern tastemakers and will include a varied mix of creations, including handcrafted furniture, woodworks, nature photography, knifemakers, jewelry and much more. SEWE presents some amazing opportunities to admire the beautiful work of wildlife artists and craftsmen from around the world. Quick Draw/Speed Sculpt and Auction: View the skill and technique it takes to create a masterpiece at this unique event. Watch as artists paint and sculpt in real-time, generating an original piece in just one hour. All art will be up for auction. Q&A with Jeff Foxworthy – The Artist: He might be known for comedy, but at SEWE 2018 Jeff Foxworthy is here to show off his artistic skills along with a dash of humor. Stop by his exhibition in the Gaillard Center before attending his Q&A where he will answer questions about his sketches, the inspiration behind them and how his ideas make their way to paper. Duet & Quintet and Auction: Sculptures, oil paintings and the Charleston Symphony Orchestra Quartet. Watch as past SEWE Featured Artists Chad Poppleton and D. Lee paint and sculpt in real time to the sound of symphonic music. After the show, all produced art will be up for auction. Preview: Decoy Auction by Guyette & Deeter: Decoys are one of the oldest expressions of folk art. 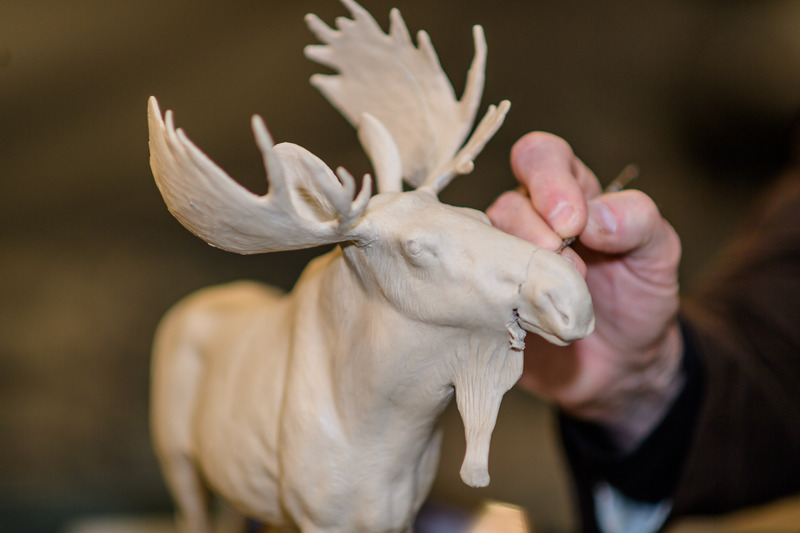 We’ll have unique and handcrafted decoys on display ranging from $200 to more than $10,000. Stop by for previews of all the decoys being sold at auction, as well a special display of decoys from a private collection. Fine Art Gallery: Our Fine Art Gallery will host more than 100 world-renowned artists and sculptors. View work in a variety of mediums including oils, graphite, bronze, wood and scratchboards. 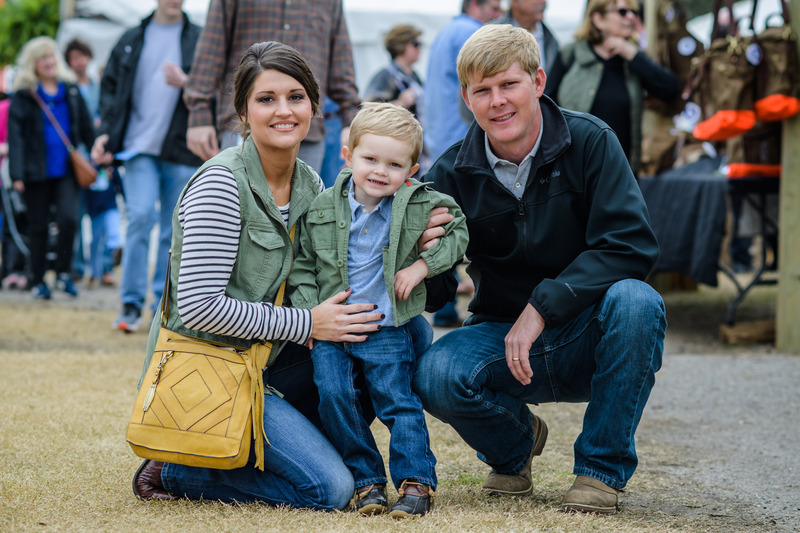 SEWE is an event for the whole family. Kids 10 and under are free at all general admission venues and events. 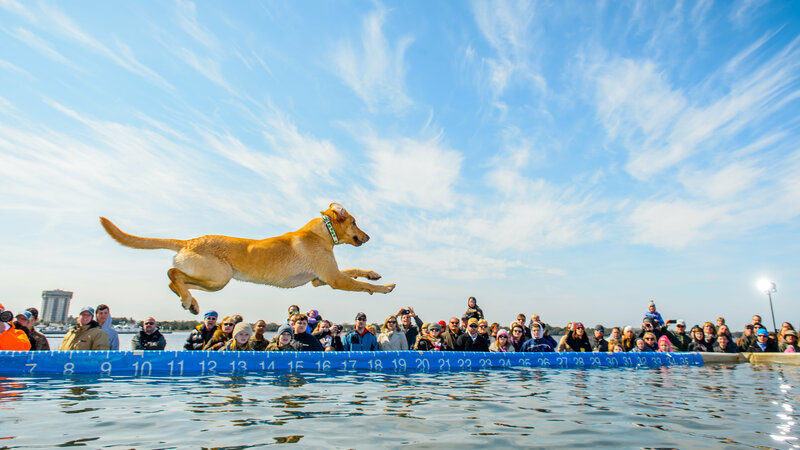 Dockdogs: There’s nothing quite as enchanting as watching dogs soar through the air in our dockdogs competition. Your kids can get an up-close view on Friday, when the crowds at Brittlebank are lighter compared to the rest of the weekend. 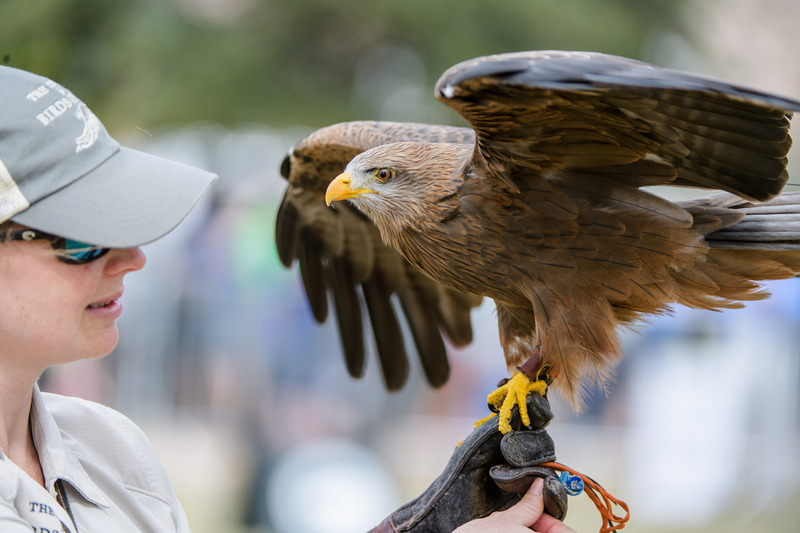 Birds of Prey Demo: If your kids loved seeing dogs fly, imagine them getting to see wild animals that can really soar! The Birds of Prey demonstrations from Center of Birds of Prey is a must see. 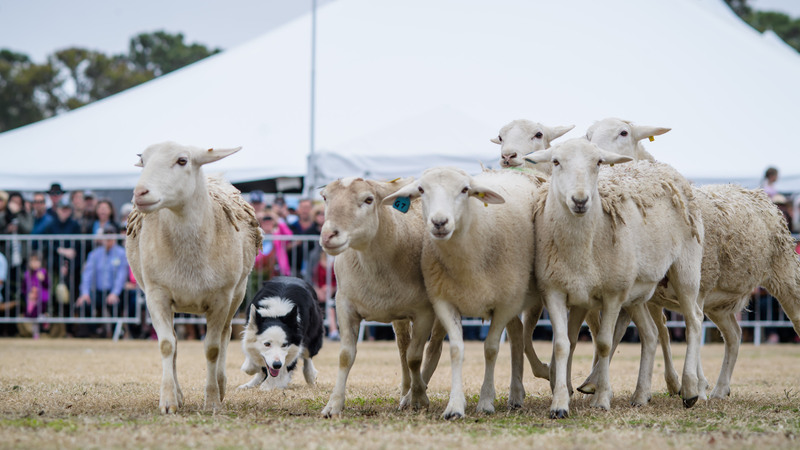 New to SEWE – Sheep and Duck Herding Demonstrations! 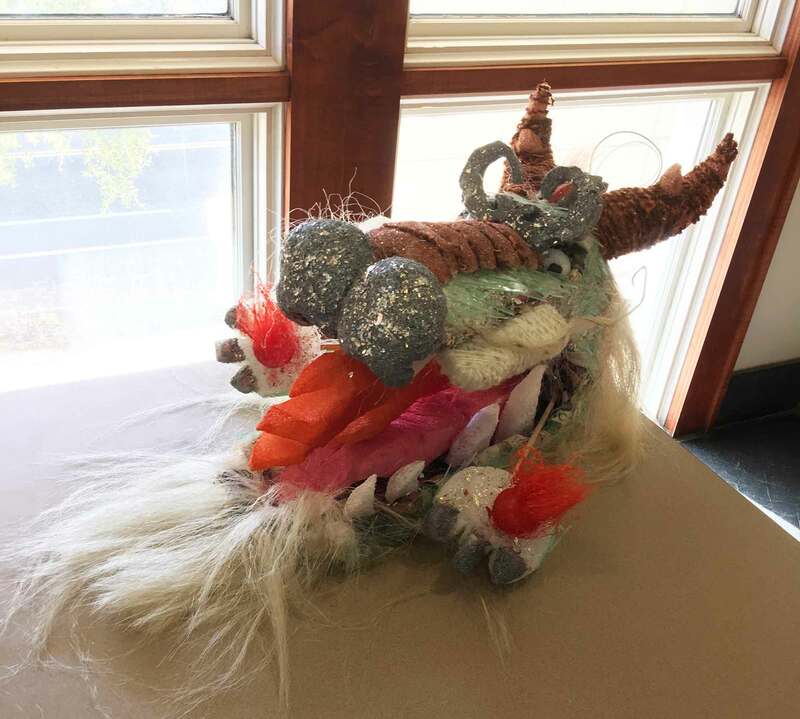 Litter Trashes Everyone Puppet Show: This puppet show is geared towards children teaching them the importance of respecting the environment. Orianne Society: Reptiles and amphibians are an integral part of our ecosystem. Learn why and how The Orianne Society promotes the conservation of these creatures and game species (like quail, turkey and deer) in this informative presentation with the Eastern Indigo Snake, Gopher Tortoise, Eastern Diamondback Rattlesnake and more. Jack Hanna Show: Television personality, author, and conservationist, Jack Hanna joins us once again to entertain and delight SEWE attendees. 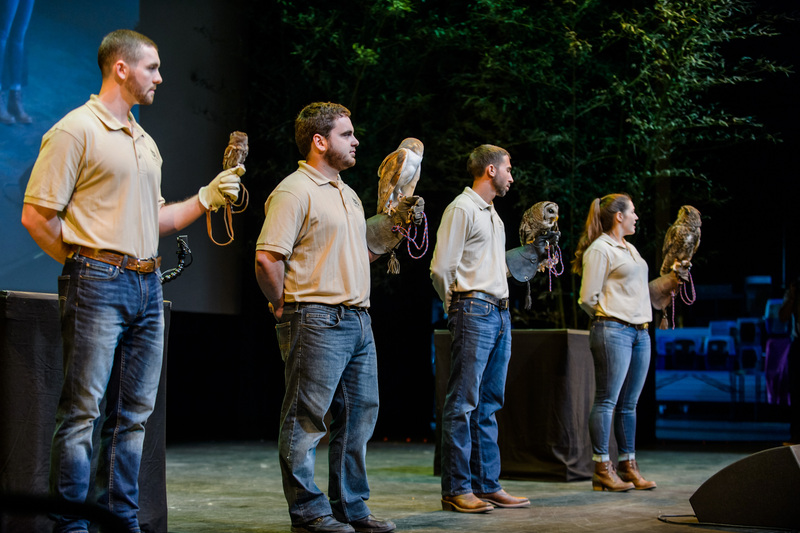 One of the most visible and respected animal ambassadors in the world, Jack’s enthusiasm and hands-on approach to wildlife conservation has won him widespread acclaim. Seating is first-come, first-served. 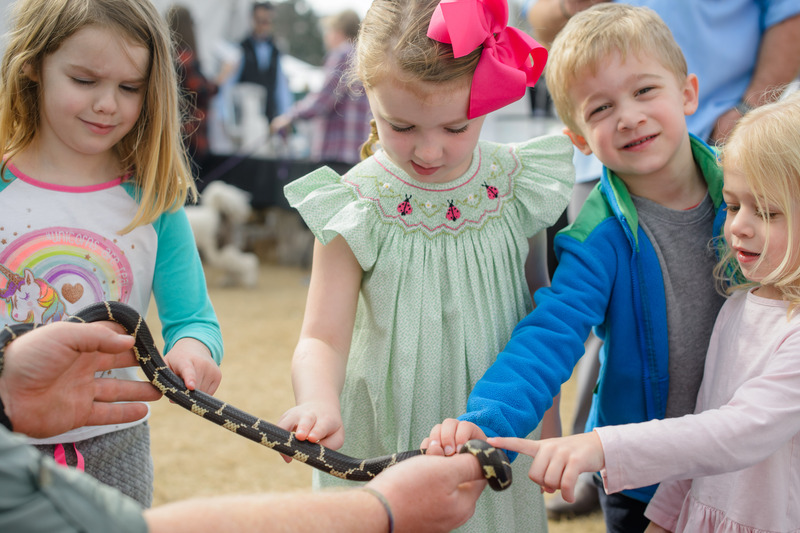 Busch Wildlife Sanctuary Show: Bring the kids along and watch as they, and you, are awed and fascinated by the amazing creatures that Busch Wildlife will bring to the stage… featuring a large variety from alligators to bobcats and foxes. 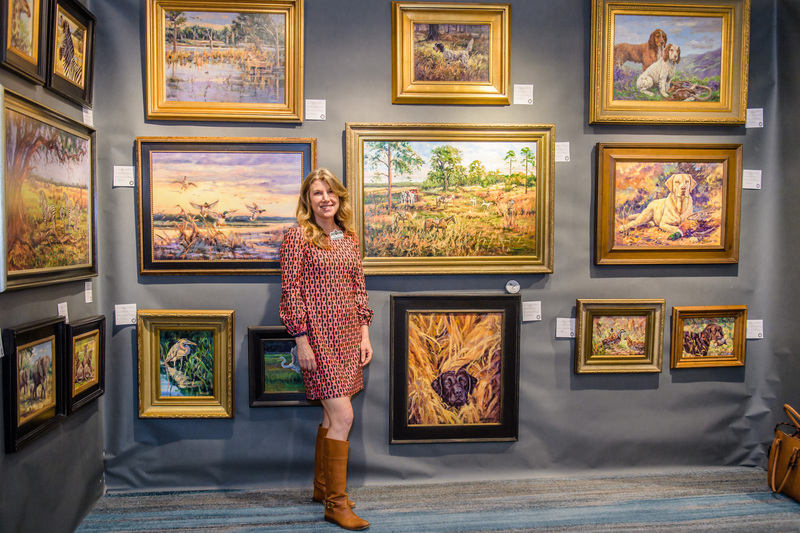 The Southeastern Wildlife Exposition has been bringing together art collectors and wildlife enthusiasts for the past 36 years. 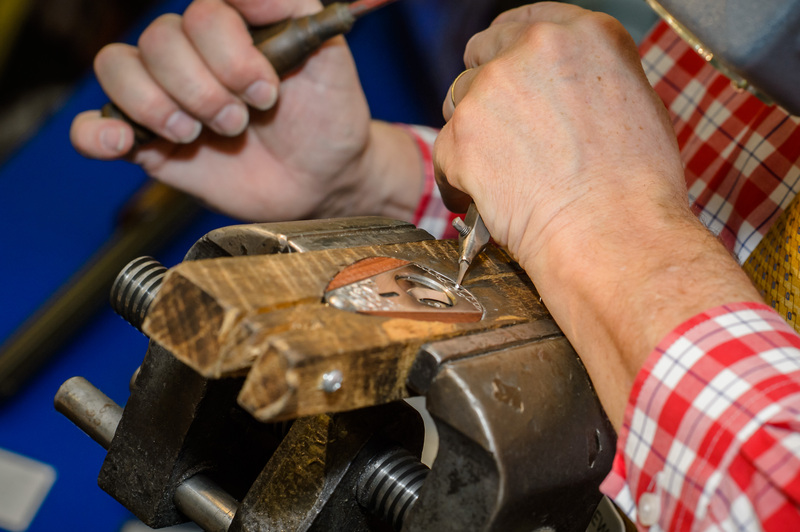 Through history, SEWE has remained true to its roots. 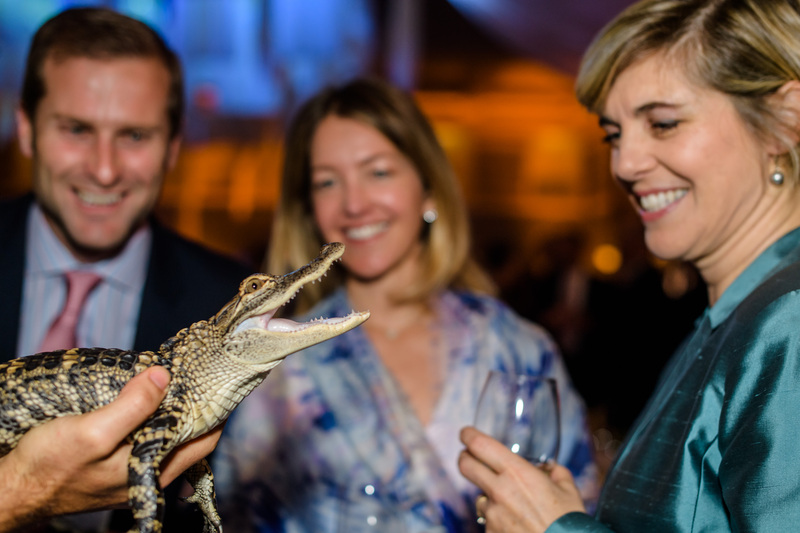 Its values of honoring wildlife and nature are ingrained in the framework of our event, much like paint on a canvas. 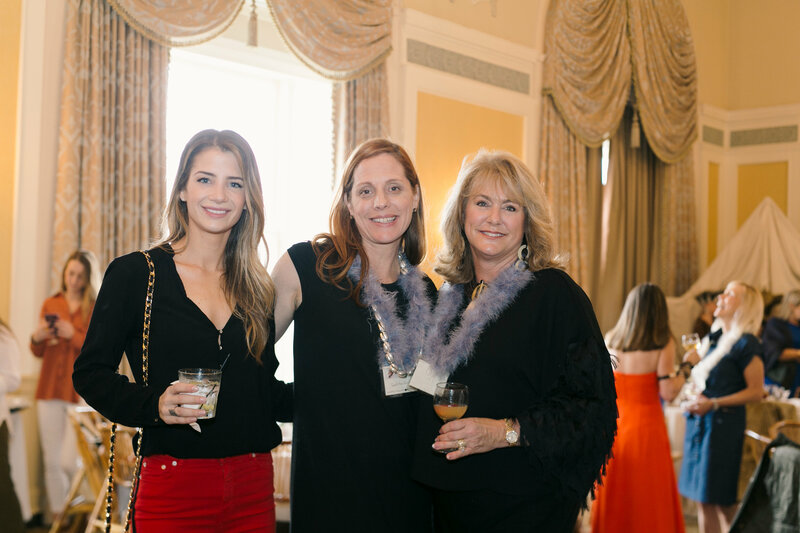 We hope you can join us for SEWE 2018 where we will applaud the works of world-renowned artists, sculptors, exhibitors and entertainers. Together, let’s celebrate the art of tradition.